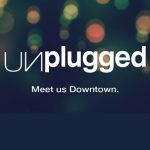 Hang out with friends and get Unplugged on Saturday, February 18. This outdoor event in Downtown Coral Springs will feature live music, life-size games, craft beer from Funky Buddha Brewery, wine, food trucks and live art. This event is open to 21+. It all goes down from 6 to 10 p.m. at the ArtWalk, located near the south-west corner of University and Sample Road. Local bands SOSOS, The Cover Ups and Gravel Kings will be jamming on stage throughout the night. Area artists will be painting and creating live, as well as selling their artwork. Be sure to try something new from one of the food trucks onsite, including BC Tacos, The Waffle Wagon, Mateo’s Pizza, Chef K Provisions, Out of the Box, Top Fries, Wholesome Rollers, Dough Dough’s Donuts, Jerk It, PS561, Dr. Smoke House, and New York Subs and Wings. The event is free but food and refreshments will be available for purchase. Proceeds from beer and wine sales will benefit the Coral Springs Museum of Art. The ArtWalk is located at 9405 NW 31st Court, just west of University Drive. For more information, visit www.CoralSprings.org/Unplugged and join our event on Facebook.